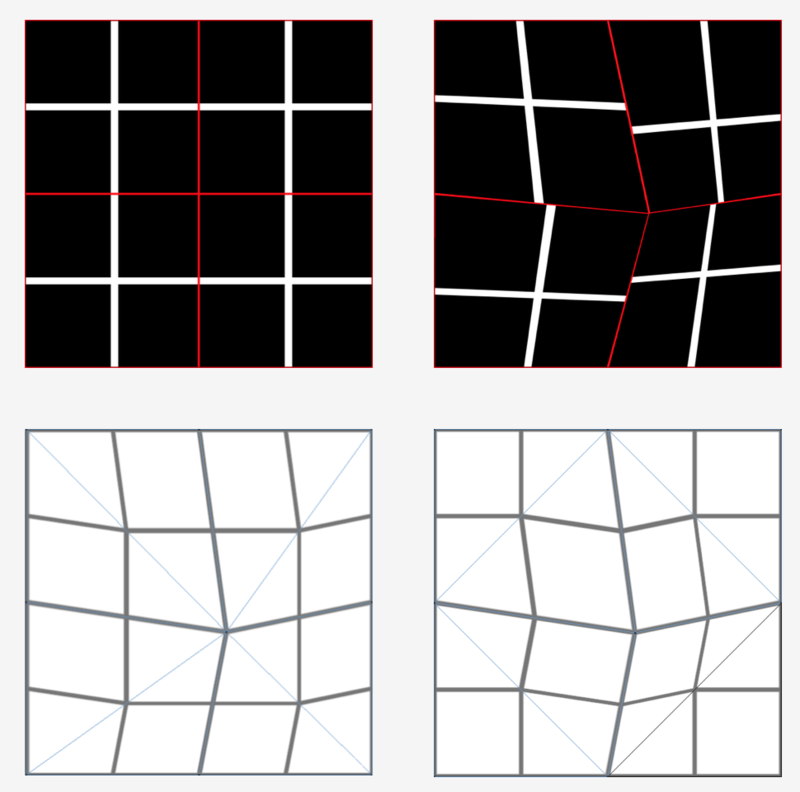 As suggested in the docs (https://docs.coronalabs.com/guide/graphics/3D.html#quadrilateral-distortion), I am trying to make a mesh and transform it with the path-tool. When I follow the example on the docs, I can’t get a correctly clipped image. In 3D programs, this is done with triangle transformations instead of rectangular transformations. The rectangle can be divided into two triangles on two axises (images 3 & 4). Is there any option to do this with Corona? You might have better luck with actual mesh objects, probably indexed ones. Sorry for the late answer, this is exactly what I was looking for. Thank you so much!